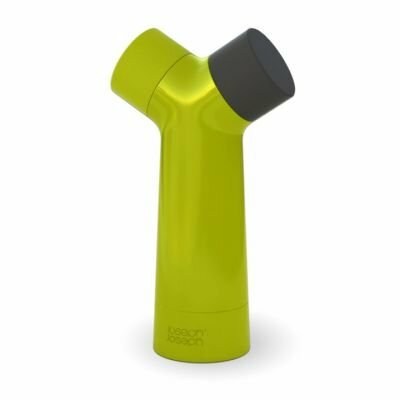 This distinctive salt and pepper mill has a unique twin-chamber design, allowing both salt and pepper to be dispensed from the same stylish unit. Hold the body of the mill in one hand and twist either of the two grinding knobs to release salt or pepper. Suitable for grinding all types of seasoning, including rock salt, it can be easily adjusted to grind from coarse to fine grain. Its high-quality ceramic mechanism is anti-corrosion and guaranteed for up to 10 years.